Since GOV.UK Verify went live in May 2016, work to develop it hasn't stopped. Not only has the team at GDS been working on improvements, but so have the certified companies that connected to GOV.UK Verify under framework 2. They've been reviewing their own user feedback and performance analysis too. We’ve already shared details of how we work with companies to enable their progress. In this post, I'd like to give an update on the latest improvements. As it stands, you can pick any one of 7 certified companies to verify your identity online: Barclays, CitizenSafe, Digidentity, Experian, Post Office, Royal Mail, and SecureIdentity. This means you have control over who has your data and there are a range of different ways GOV.UK Verify can verify you. Verizon was also on the second framework for certified companies but is no longer a certified company - they’ve not been offered as an option to users since July 2016. Certified companies have been adding additional data sources to increase the number of users who can verify. This includes 3 certified companies that have added additional data sources to improve their coverage. Another certified company has recently started allowing their existing customers to use the data already held as part of existing accounts as a part of the verification process. This means that if you have an existing relationship with that particular certified company, they will be more likely to be able to verify you. It’s great to see the increase in certified companies’ ongoing work in the data sources they’re using, as it supports our ambition to make GOV.UK Verify work for more people across different demographic groups. In addition to changes made earlier last year, which meant people can use their mobile phone contract as identity evidence in GOV.UK Verify, further updates now allow the use of passports, driving licence and national identity cards from most countries in the world. Certified companies are also working to ensure that GOV.UK Verify works with different technologies. At the time GOV.UK Verify went live, the two biggest mobile operating systems (Android and iOS) were supported. Users with a Windows phone were offered the alternative options of receiving a security codes via landline or SMS. One of the certified companies recently launched a Windows phone app, meaning those smartphones are now supported. Users who wish to use Universal 2nd Factor authentication to access government services can now, with one of the certified companies, use a YubiKey as a second authentication factor to sign into their identity account. Certified companies have been reviewing the detailed actions a user needs to make in order to use their services. Three of the certified companies have rebuilt their user interface since GOV.UK Verify went live, refining the user the journey whilst incorporating new branding. In July 2016, we blogged that we had released functionality to allow certified companies to better tailor their user journeys based on information provided by users. One of the certified companies has now implemented this feature, which means that for some users, there is less repetition of questions through the user journey. We have plans from several other companies to also start using this feature which should shorten journey times. It’s now possible to pause and return to your verification journey with all of the certified companies - handy if you’re verifying on the go and get interrupted, or if you need to pause to find your misplaced driving licence. We’re currently researching in the lab to better understand how this is being used so that support for this can be improved across the federation. Several of our certified companies have been working with the GOV.UK Verify team and DWP’s Universal Credit team in job centres to better understand the user journeys specific to that service. This will influence further improvements. We set the standards for the certified companies to ensure quality, but we also encourage innovation. After all, we expect the certified companies to provide the best possible experience for users who choose to access government services online. Subscribe to the blog to keep up to date on how we are improving GOV.UK Verify. Really positive news and great progress. It's a testament to how well public and private sector bodies can work together to build and run something as complex as this. Are any of the ID verification services able to verify people with permanent residence but no UK passport or diving license and as a non UK citizen will not appear on the voters roll used by credit agencies? Thanks for your query. Yes, GOV.UK Verify may still be able to verify users with a non-UK passport if they have a UK address. In GOV.UK Verify, you will be asked what identification documents you have and will be offered the option of certified companies that may be able to verify you with a non-UK passport. Recently, we have made further updates that now allow the use of passports, driving licence and national identity cards from most countries in the world. You say that "GOV.UK Verify allows you to safely and securely prove your identity entirely online to access government services." It doesn't help people like me, with no up-to-date passport or photo driving licence, when Experian cannot even recognise my UK Bank current account (which I've held for nearly 50 years!) - or my joint account with my husband which I've had for over 30 years. As someone who, according to HMRC's website, does not need to file a tax return because I'm a pensioner with very little income, I'm very frustrated. I can't use their online 'facility' (as I have for many years in the past) and will now have to pay an Accountant to file my return. And all this will be to get a refund of a couple of pounds! (and escape the threatened penalty!). It's absolutely ridiculous! Thank you for your feedback. I’m sorry your chosen certified company could not verify you. We do appreciate how frustrating that can be for those we are unable to verify at this stage. There are lots of reasons why a certified company may not be able to verify you. If a bank account was opened before 2007, the data is not available to the credit reference agencies for them to match you to it. We are aware that this is causing an issue for some users and appreciate how frustrating this can be. We are working with our certified companies to address this issue and we are constantly updating and improving our service, as well as investigating other sources of data, so all feedback is valued. GOV.UK Verify is constantly being developed and improved based on feedback from people who use it. We’re not able to verify everyone yet using GOV.UK Verify but we’re working to constantly expand and improve the service. Verifying someone's identity without talking to them or sending things in the post is a complex process and it will take us some time to make it work for everyone. There are always other ways to access services so if GOV.UK Verify doesn't work for you, please return to the service you were trying to access and use one of the other available ways to access it. I’m sorry you’ve had a bad experience. 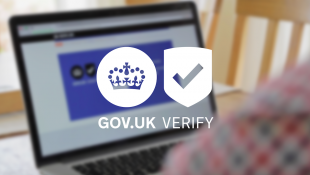 GOV.UK Verify allows you to safely and securely prove your identity entirely online to access government services. It takes around 15 minutes to verify your identity the first time. Different users have different experiences but once we’ve verified you, you’ll be able to sign in to services you need to access securely in under a minute. GOV.UK Verify doesn’t work for everyone yet but we’re working to constantly expand and improve the service. We do appreciate how frustrating that can be for those we are unable to verify at this stage. I've provided ample feedback as to why this service is unfit-for-purpose but that doesn't help me pay my taxes. You provide no suitable mechanisms to retrieve UTRs or login details. This isn't "frustrating", it's willfully incompetent. Sorry to hear this. UTRs are provided by HMRC for Government Gateway, and not GOV.UK Verify. For support on UTRs I'd suggest you please get in touch with hMRC direct as I am afraid I am unable to help you on this matter. I'm afraid I am one of those few that cannot get verified, is there a reasonable explanation even though I was born and live here and have a valid with passport? I have been in touch with all your providers and they say there is not enough information on the system about me. I’m sorry your chosen certified company could not verify you. We do appreciate how frustrating that can be. Certified companies have to work to published government standards when they verify your identity. To do this, they have to look at a range of evidence and checks to establish that you are who you say you are – no single piece of evidence is sufficient. There are 5 elements involved, and the company has to achieve specific thresholds in each one before they can verify someone’s identity. It could be that the data available at this time to the certified company meant they were unable to reach the set thresholds on 5 five elements (more info here: https://www.gov.uk/government/collections/identity-assurance-enabling-trusted-transactions).